Hi again,sorry for the frequent posts of a newbie! Does anyone know where I could get a panier made? The size and shape fairly standard,but I would like it to use it to advertise/indicate the tandem's use with the visually impaired. Mick, I’d pop into a work wear specialist shop that does silk-screening or embroidery or both and ask them what type of pannier material they could work with. 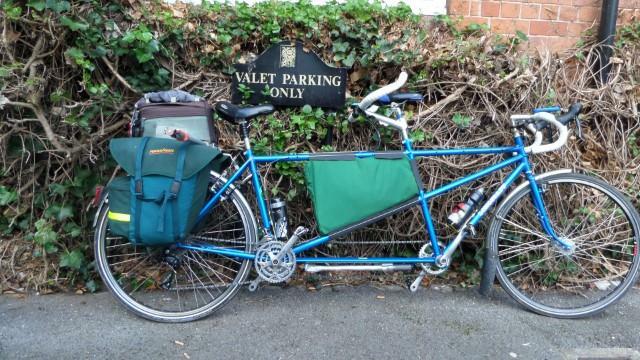 However, for a single pair of panniers the set-up cost might be considerable. Failing that, ask a sticker manufacturer whether Ortlieb panniers would be suitable for stickers. Than,s Achim!yes looks like I need to think outside the box! We had a couple of frame bags made up and would be perfect for a good flat advertising surface. They are made up to your exact size requirements. Thanks Robert.That would certainly make a very visible staement!